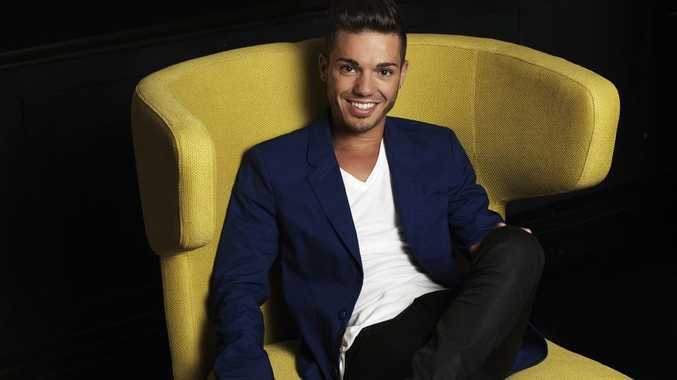 IT IS hard to believe it has been nearly a decade since a fresh-faced Anthony Callea burst on to the Australian music scene on Australian Idol. After finishing runner-up to Casey Donovan on the talent show in 2004, Callea's debut single The Prayer held the top spot on the ARIA singles chart for five weeks and was the fastest-selling single by an Australian artist. Fast forward to 2013 and Callea has toured with the likes of Mariah Carey, Whitney Houston and Tina Arena, and has been cast in John Frost's new multi-million dollar production of Grease the Musical. Callea entered a new chapter of his life in December when he turned 30, and to mark the milestone he released his new studio album Thirty. But he said the prospect of leaving his 20s was not something he initially embraced. "I got to the middle of last year and I was freaking out a little bit; I didn't want to turn 30," he said. "Going from 20 to 30 it's like all of a sudden do I really have to act responsible now? "Then I got to September or October and I went 'I really want to turn 30 now'. Something just clicked in. I thought 'I'm ready to embrace it'." The album features original songs My All and I'll Be The One, as well as Italian anthems Nella Fantasia and Di sole e d'azzurro and covers of The Flame, Alone, When You Believe, Go The Distance, Leave Right Now and Dance With My Father. Callea said each of the tracks holds a special significance for him. "These are songs that mean something to me, whether it's melodically or the lyrics behind it or the artist singing it," he said. "It's difficult to put an album like this together because some of these songs are really classic songs. I didn't want to mess around with them. When I was behind that microphone in the studio I was telling myself just respect these songs and pay homage to these songs and artists that inspired me." Having toured with both Carey and Houston, Callea has sung their duet When You Believe with the Melbourne and Fremantle symphony orchestras. "When I was in New York I was invited to (songwriter) Stephen Shwartz's house and I held the Grammy for this song," he said. "This is one of those songs that pushes me vocally every time I sing it, and I don't ever want to let the song down." The two original songs on Thirty were both written several years ago, with Callea waiting for the right time to release them. My All was co-written with the album's producer James Kempster "over a glass of champagne and a cheese platter", while I'll Be The One was written with Adam Riely. Both songs reflect Callea's relaxed approach to songwriting, which is something he has settled into over the years. "Sometimes it's ok to walk out of a writing session if it's not working," he said. "In my earlier days I'd be booked in for writing session after writing session for weeks on end. There was so much pressure to try and come up with ideas. These two songs were never written in that environment. "As you get older you learn from all of that. It's all about letting it come naturally." Tour dates will be announced soon. Thirty is in stores now.